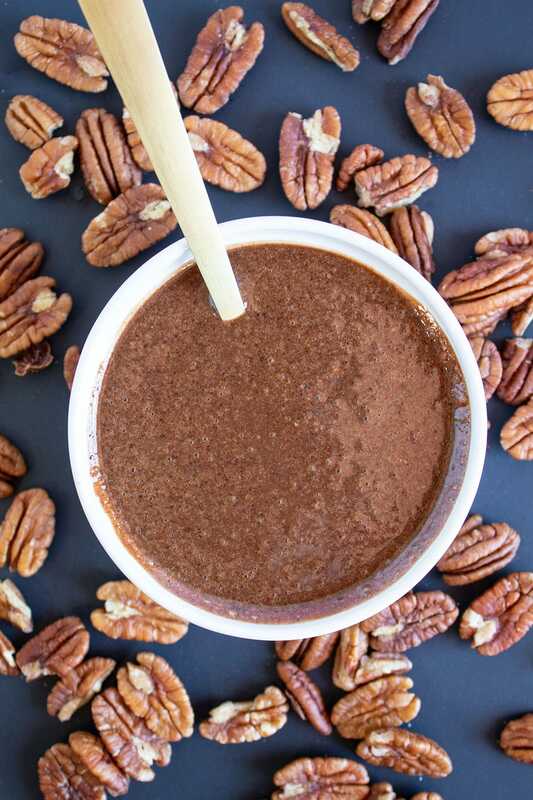 This Chocolate Coffee Pecan Butter recipe infuses homemade pecan butter with cocoa powder, keto-friendly sweetener, and instant coffee to make a caffeinated (yes, really!) nut butter. 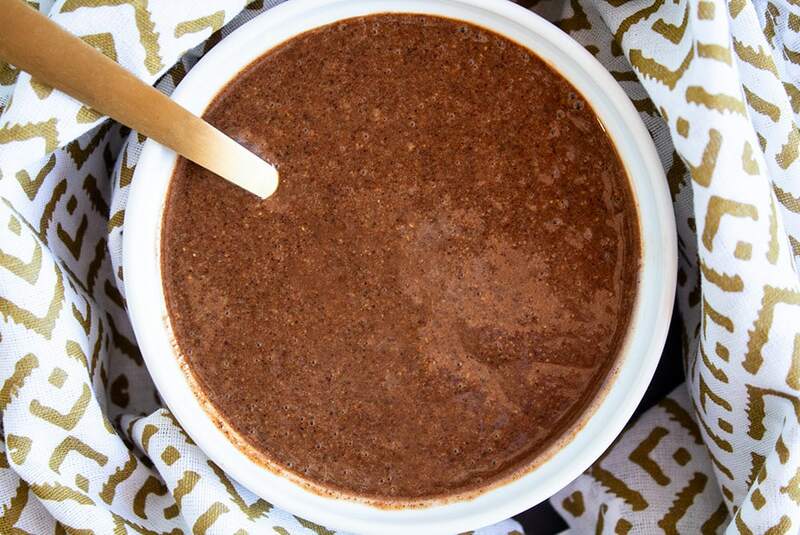 You can also use this base recipe to make chocolate pecan butter or plain pecan butter. It’s up to you! 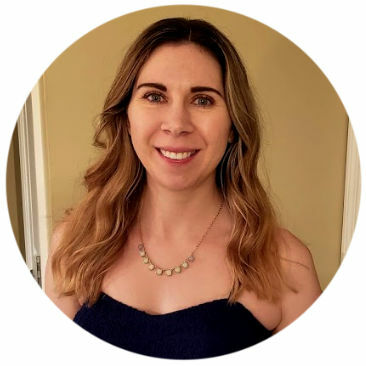 Not too long ago, I debuted my recipe for Keto Chocolate Coffee Fat Bombs (Caffeinated Fat Bombs! ), and I suspected the concept would make for an amazing nut butter. After making this recipe, I can tell you that my suspicions were correct! The main recipe I’m going to show you in this post makes a chocolate- and coffee-infused caffeinated nut butter. 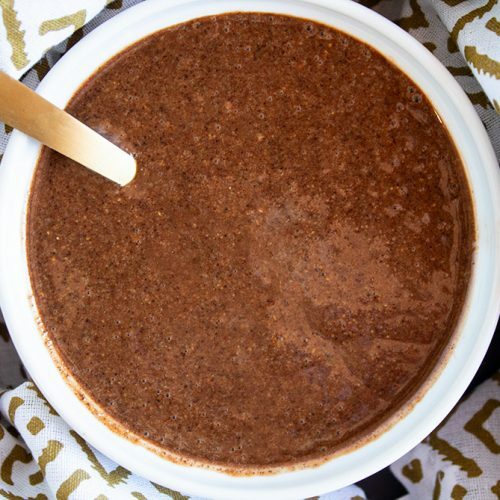 Yep, not only will this nut butter give you a hefty dose of keto-friendly fats, but it’ll also add a bit of pep in your step. Keto snack (and dessert) heaven! If the idea of a coffee-infused nut butter isn’t your thing, no worries! You can simply omit the instant coffee granules and you’ll have chocolate pecan butter. Or if you just want to make simple homemade pecan butter, you can do that too with this recipe. Add salt or keto-friendly sweetener to taste, or even some vanilla extract. Or, you can dress up your homemade pecan butter in your own way and add mix-ins like unsweetened shredded coconut, keto-friendly chocolate, keto-friendly maple syrup, etc. I’ve made homemade pecan butter a few times in the past, and it involved throwing a bunch of raw pecans in my food processor and processing them for what felt like an eternity until they finally became nut butter. Then, I read somewhere that if you toast your pecans first, they’ll make nut butter much faster (duh, right?). That’s the process I follow for this pecan butter, and it turned out beautifully. To start, preheat your oven to 325 degrees F. Then place the pecans in a single layer on a large non-stick baking sheet, preferably one covered with a silicone baking mat. Toast 8-12 minutes until they have a nice fragrance. Stir halfway through, watching them carefully the last few minutes to make sure they don’t burn. Now it’s time for the magic! Place your pecans in a food processor and turn it on. Process for 30 seconds, scrape down the sides, then process for another 30 seconds and scrape down sides…. repeat that process until your pecan butter is a beautiful drippy texture. It took me three cycles. If you just want pecan butter, you can stop here. Simply add salt, keto-friendly sweetener, vanilla extract, mix-ins of choice, etc. If you want Chocolate Coffee Pecan Butter or chocolate pecan butter, mix the remaining ingredients (omit instant coffee granules for chocolate pecan butter) together in a small bowl, then add them to the food processor. Pulse until fully incorporated, scraping down the sides when necessary. Taste pecan butter and add more Swerve if desired (I wanted mine to be a sweet dessert butter, so I went up to 3 tbsp Swerve). Dutch process cocoa powder (or Dutch processed cocoa powder) has had its acidity neutralized, leading it to have a much less bitter flavor than traditional (“natural”) cocoa powder. The flavor of Dutch process cocoa powder is smoother and milder, and the brand I recommend is especially tasty. Note: If a recipe uses leavening agents and specifically calls for natural cocoa powder, don’t substitute Dutch process! It has a different chemical reaction, so using it will ruin the recipe. I hope you love Keto Chocolate Coffee Pecan Butter! If you liked this post, I would so appreciate you giving it a share by using the social sharing icons. THANK YOU! Don’t forget to also check out my popular roundup of The 17+ Best Keto Coffee Drinks! 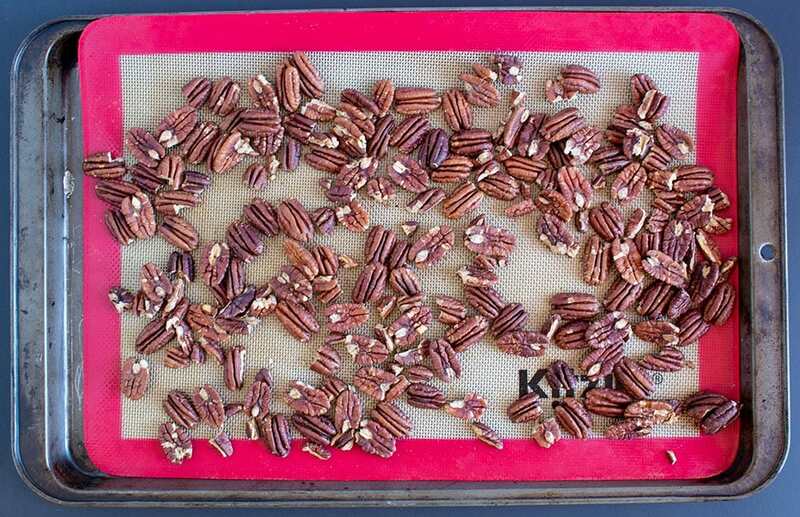 Place the pecans in a single layer on a large non-stick baking sheet, preferably one covered with a silicone baking mat and toast 8-12 minutes until they have a nice fragrance. Stir halfway through, watching them carefully the last few minutes to make sure they don't burn. Allow pecans to cool. If you notice any small pieces that look burnt, discard them because they will adversely impact the flavor of your pecan butter. Add remaining ingredients to a small bowl and mix well. Then add to the food processor and pulse until fully incorporated, scraping down the sides when necessary. Taste nut butter and add more Swerve if desired (I wanted mine to be a sweet dessert butter, so I went up to 3 tbsp total of Swerve). Place pecan butter in an airtight jar and store in the fridge for up to a month. Each serving is approximately 2 tbsp, but for most precise nutrition facts, please weigh your resulting nut butter and divide by 10 to get the weight of each serving.